Board Member and retired Pacifica elementary school teacher Sharon Walker recently shared her experience using the Creek as an educational and inspirational tool for her students learning science. The look on the kids’ face says it all and hopefully 8 generations later, the decedents of those classroom-raised fish are still calling the Creek home. San Pedro Valley Creek, because of its native Steelhead Trout population and riparian habitat has been an education resource for Pacifica Schools. One project,The Salmon and Trout Education Program--STEP--a component of the Monterey Bay Salmon and Trout Project,--is a hands-on science and environmental education program in which students raise steelhead trout from eggs to fry in their classrooms. The goal of the MBSTP is to restore self-sustaining runs of native salmon and steelhead. San Mateo is one of five participating counties. The project is based at the Big Creek Fish Hatchery in Davenport. STEP existed in the Pacifica School District from 1992 to 2001. Participating teachers received specialized training from the project and permits from the Dept of Fish and Wildlife to incubate eggs. In classroom incubation systems, eggs developed to alevins then to the swim-up fry stage at which time they were released into San Pedro Creek in San Pedro Valley Park. The cross curricula program taught students about steelhead trout life cycles, stream ecosystems, the need for habitat preservation and stewardship. Students also participated in creek monitoring activities. In 1996, the program in Pacifica earned a J. Russell Kent Award from the San Mateo County Schools Boards Association. Not only were fry released from Pacifica Schools, nearby classrooms in San Mateo County and San Francisco participated in the project as well. In 2001 the federal government determined the release of fry could only be in creeks from which spawners were taken, thus San Pedro Valley Creek no longer could be a release site as the spawners were from either Big Creek, Scott Creek or San Lorenzo River. 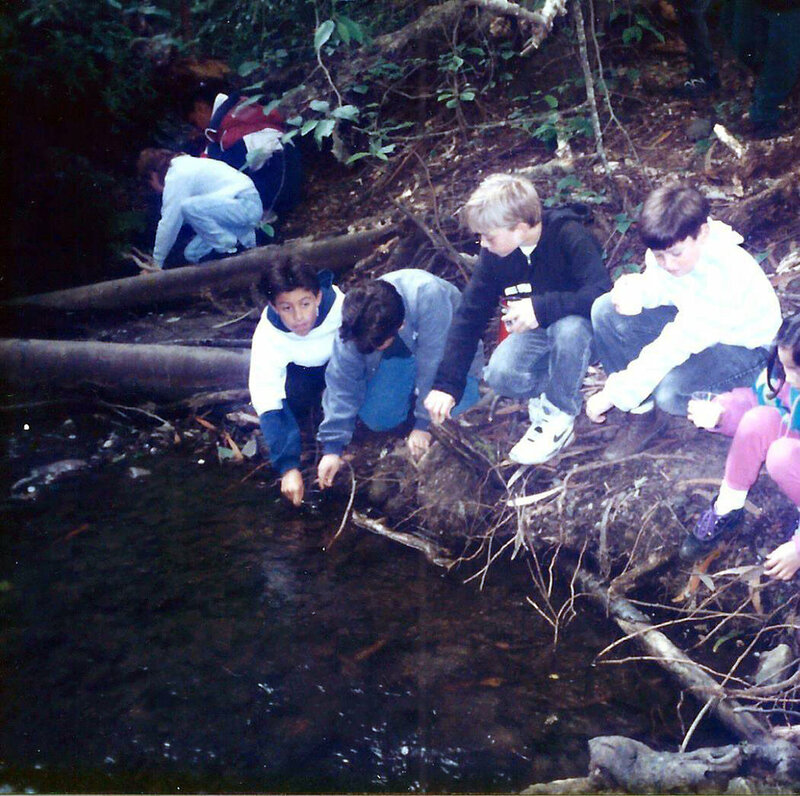 Teachers in Pacifica, however, continued with the project in their classrooms until 2014 and continuedto use San Pedro Valley Creek as an educational resource for creek and related studies. It is estimated about 4,500 fry were released into San Pedro Creek at various sites in the Park by students, teachers and accompanying parents from 1992-2001. Park Rangers and teachers worked together to determine release sites on the Middle and South Forks of San Pedro Valley Creek. The STEP Program was an inspirational program for both teachers, students and a meaningful connection to San Pedro Valley Creek and San Pedro Valley Park. When remodeling took place in 2017 at the San Pedro Valley Park Visitor Center, a display was created of the history of STEP along with the Old Trout Farm and the Ohlone. Steelhead trout are native to San Pedro Valley Creek, and they still return to spawn. Documenting the history of STEP is a tribute to the teachers, students, parents and community volunteers who supported this hands-on-stewardship-building environmental education project.